Starting a laser hair removal practice ... the basics to financial success! Invest In a Laser or IPL Hair Removal System...and Put Yourself in Control of a Beautiful Financial Future. When you make the decision to invest in a Laser Hair Removal or Intense Pulsed Light Epilation Machine, you are buying into much more than the state-of-the-art hair removal system. You are buying into a beauty service business that's in extremely high demand. It offers you tremendous profit and growth potential. Let us put you in control of how much income you earn. Since the effectiveness of the Laser Hair Removal and IPL techniques is achieved in a series of weekly treatments, each client is highly profitable. Equipment owners report an average of over 35 hours of use per week. However, there are many salons that report using their systems between 60 and 80 hours a week. At the average rate of $85 per hour, it's reasonable to expect weekly earnings between $1,500 and $5,000! Earn Substantial Money Immediately... Without the Headaches of Big Overhead Costs! Diode Laser Hair Removal offers you many benefits that are hard to find in other business endeavors. There is only the one-time, relatively small investment for the equipment. And, that investment is usually more than paid for within the first few months. You control your own hours. You control your own overhead. And... You control your own financial future. - Efficient to use - it costs only pennies a day. - Compact and salon-designed, requires no additional space. - Easy to learn and simple to operate. The most efficient laser in the world, is the 808nm semiconductor diode laser. 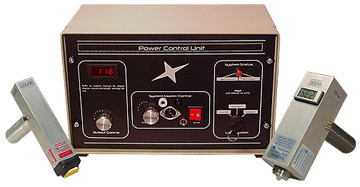 Extremely high-power diode lasers have not been available for dermatology until now. The new Diode Laser Systems use state-of-the-art diode laser arrays to achieve power, efficiency, and reliability in a small package designed for versatile office use. This paper summarizes clinical efficacy and safety data for hair removal.